The iPhone XR’s delayed launch schedule is likely due to continuing production and authorization issues, which could also hint at constrained supply when it drops. For one, Apple is reportedly shifting production orders from the primary iPhone XR supply chain partner, Pegatron, to Foxconn, according to a DigiTimes report published on Tuesday. Originally, Pegatron was meant to take a larger share of the iPhone XR production this year — about 50 to 60 percent. Foxconn was on the docket to produce about 30 percent of the iPhone XR devices. Typically, Apple uses Foxconn to assemble most of its flagship models, with other partners taking on the majority of orders for secondary devices. Now, Pegatron is only slated to produce 30 percent of the orders for the mid-range handset this year, with a much larger share going to Foxconn. According to DigiTimes, Pegatron’s production has been snarled by a lower-than-expected yield rate and a worker shortage at its China-based plants. The publication also notes that the supply of LCD panels from Japan Display has been unsteady. Earlier this year, several reports suggested that Apple was running into a production bottleneck for its iPhone XR device. In August, Morgan Stanley analyst Katy Huberty suggested that the Cupertino tech giant was experiencing issues with LED backlight leakage. While unconfirmed, it’s likely that Apple has seen problems with implementing the sensor notch in an LCD display — which is, as a display technology, much less flexible than OLED. Similarly, Apple has still not received Federal Communications Commission authorization for the mid-range LCD handset, according to a disclaimer on its website. Since the iPhone XR is due to launch next month, the lack of FCC authorization inexactly outside the norm. 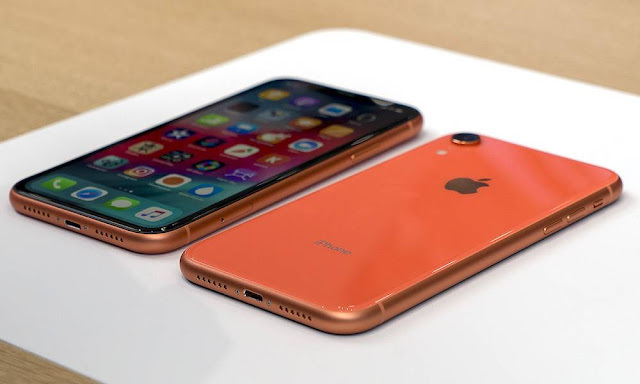 But it could hint that the production bottleneck is still impeding progress on the iPhone XR or that the device is still undergoing testing at the FCC. Presumably, the aforementioned backlight leakage is a major reason why the iPhone XR is launching later than its OLED counterparts. But Phone Arena points out that there could be another bottleneck causing problems. In lieu of 3D Touch, the iPhone XR uses an alternative thin-film sensor layer to mimic the functionality of the feature. But back in June, an anonymous source told Nikkei that production yield of the faux 3D touch function was “not satisfactory” at the time. While the source indicated that it was improving, it may have been another factor contributing to the delayed iPhone XR rollout.